If you would like to purchase a Marina fork lift for your facility, Gregg Lift Truck Company is here to assist you. 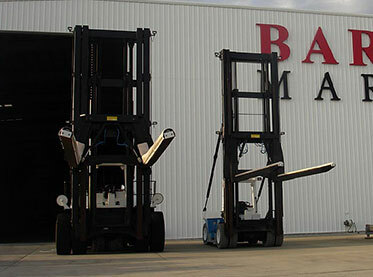 With over 24 years in the boat transportation industry, we have sold hundreds of marina forklifts. 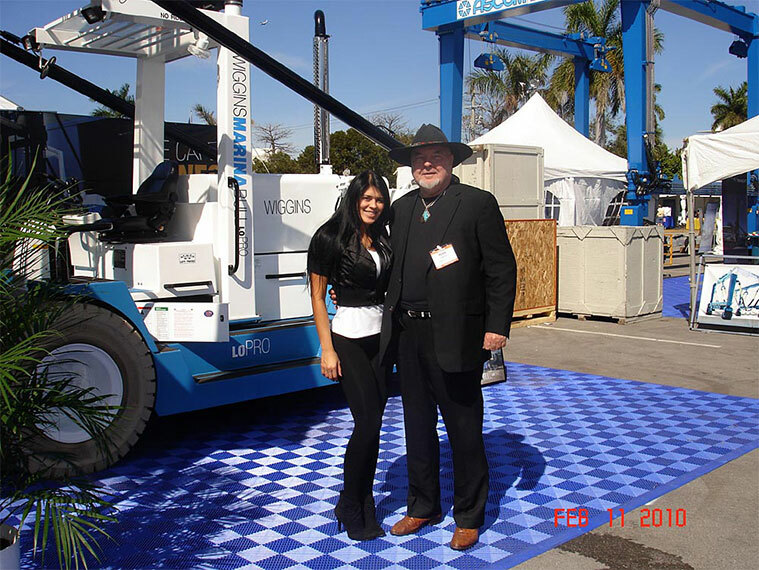 Gregg Lift Truck Company Inc. was founded in 1990 by, Ross Gregg, in Jacksonville, Florida. We have a wide selection of new and used marina fork lifts for you to choose from. The lift trucks we sell are designed to offer maximum performance, speed, and durability and safety. 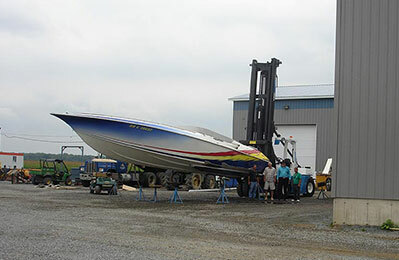 Our fork lifts are designed to lift large boats into the air and place them easily in or out of the water and safely back into your dry storage facility. 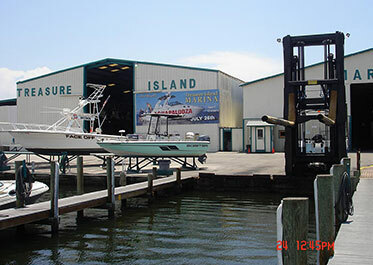 Whether you have a large facility or a small facility, you can rest assured that we have a marina lift truck that will match your needs. We have fork lifts that can handle capacities from 5,000 lbs. to 65,000 lbs. 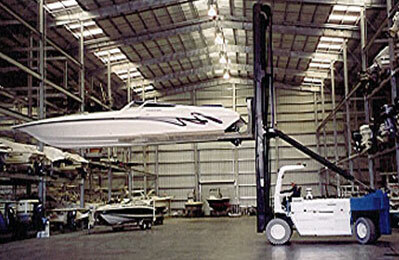 We also have forklifts that can stack jet skis and boats from 10′ long to 50′ long. Fork height can go to maximum 6 or 7 boats high and over 60′ in height. Which one of our Marina lift trucks is right for you? That’s why we will be more than happy to meet you in person if need be and survey your location to determine which one of our lift trucks is right for your needs. We have Diesel or LP gas powered lift trucks engines available as well. Call us now to find out more information on our inventory. We sell domestically AND internationally! 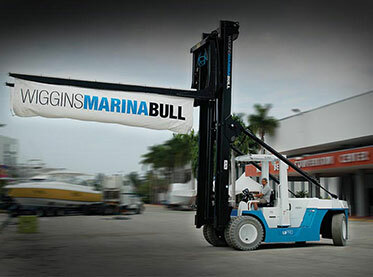 We are proud to carry the Wiggins Marina Bull Lift Truck for optimal safety! At Gregg Lift Truck co., inc. we have a large selection of new and used fork lifts for sale. One of the most popular brands of fork lifts we carry is the “Wiggins Marina Bull Lift Truck.” Touted as one of the “largest marina lift trucks in the world”, the Marina Bull lift truck doesn’t disappoint. 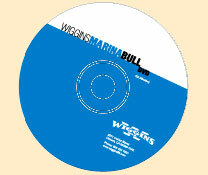 The Marina Bull is one of the most innovative boat transportation vehicles designed by Wiggins. When the Marina Bull was introduced in the 1970’s , it was one of the 1st marina fork lifts ever to be able to handle up to 20,000 lbs. and lift smaller boats to a never done before height of 40 ft.! Fast forward to present day and the Wiggins Marina Bull lift truck can lift up to 60,000 pounds with a lift height as high as 54 ft.! It’s no wonder why Marinas offering dry storage prefer the Wiggins brand when they are searching for safe and reliable fork lifts. We have a wide variety of used and new Marina fork lifts for you to choose from! Whether you want a used Marina lift truck or one of our brand new Wiggins Marina Bull fork lifts, you can rest assured that we will take care of all of your Marina lift truck needs. 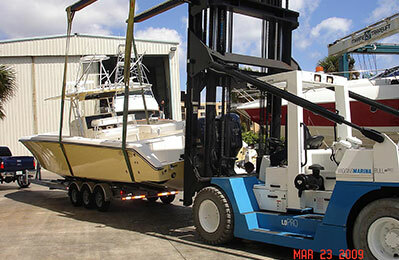 For over 24 years, we have been providing Marinas with safe, reliable, and efficient Marina lift trucks. Call us now to find out how we can help you with your selection of a new or used Wiggins Marina Bull Lift Truck or one of the other used fork lift brands that we carry. Rental and Lease Plans are available to 72 months. Contact us for more information. Gregg Lift Trucks company, inc.